Former House Speaker Newt Gingrich has made a few gaffes as an informal adviser to President-elect Donald Trump. Former House Speaker Newt Gingrich conceded that President-elect Donald Trump does not yet have a plan for defeating the Islamic State militant group. 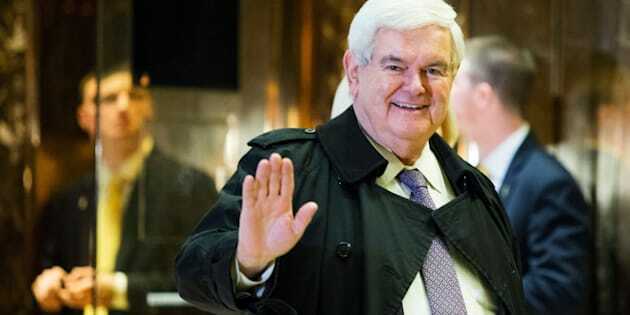 Gingrich, an informal adviser to the president-elect, went on to express confidence that Trump’s general-heavy roster of security advisers and cabinet members would develop a strong approach to fighting the terror group. “They are going to be able to produce a very aggressive strategy. They have a much better grip on reality than the Obama administration did,” he added. Gingrich then suggested the United States should consider suspending civil liberties to combat terrorism as former President Abraham Lincoln did during the Civil War. It is not clear what legislation Gingrich is referring to, but Lincoln did crack down on basic freedoms, including First Amendment rights. Most notably, however, Lincoln unilaterally suspended habeas corpus, or the centuries-old right to a speedy trial. “Habeas corpus is, for many historians, a serious blemish on Lincoln’s record,” Jennifer Weber, a University of Kansas history professor, wrote in a 2013 op-ed in The New York Times.